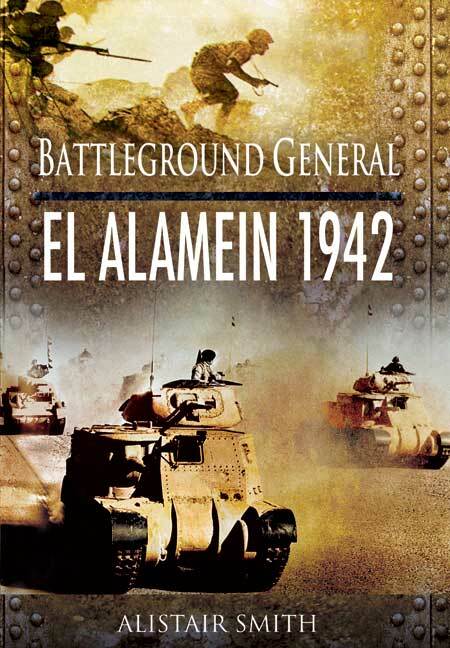 You'll be £12.99 closer to your next £10.00 credit when you purchase Battleground General: El Alamein 1942. What's this? BATTLEGROUND GENERAL is a series of game books which put you in command of the forces engaged in some of history's most famous battles. Your tactical skill and ability to make the right command decision will be tested at every turn of the page. The Second Battle of El Alamein was one of the pivotal moments of the Second World War. By the summer of 1942 the genius of Erwin Rommel had carried his German Afrika Korps to within a few miles of Alexandria, threatening the British position in Egypt. The loss of Egypt and the Suez Canal would mean the loss of vital Middle Eastern oil fields and threaten communications with India and the Far East, a devastating blow to Britain's war effort. But at El Alamein, Montgomery's Eighth Army were planning a massive counterattack. Will Monty and the Desert Rats turn the tide of the war and chase the Desert Fox out of Egypt, or will Rommel's guile bring about a stunning German victory? The book presents you with a series of command decisions, directing you to the next relevant briefing depending on the option you choose. No dice are necessary to play, just this book and your tactical skill. When you buy this book, the fate of nations is in your hands.